The golden hue of the metal material that this frame is created from gives a bright look to the sunburst pattern it creates. 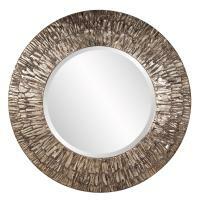 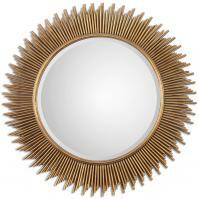 The round mirror in the center has a beveled edge that increases the look of depth. 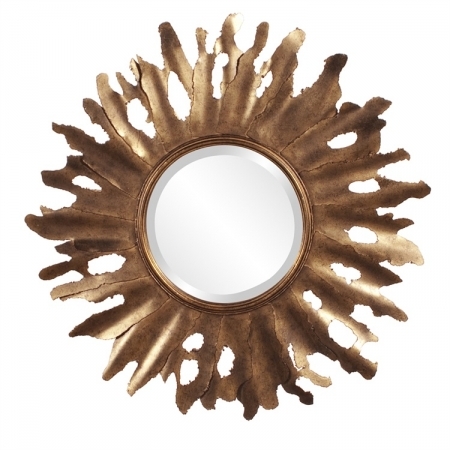 The mirrored surface will reflect beautifully the natural light of the space where it is installed.